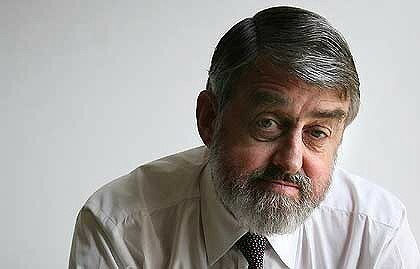 Monday's Australian Story is about Nicholas Cowdery QC, the NSW Director of Public Prosecutions. The uncompromising DPP is about to retire after 17 years in the role. Richard Ackland recounts the fractious relationship between Cowdery and NSW Attorney-General John Hatzistergos in a 2009 piece for the Sydney Morning Herald here. Recent tensions at the Victorian OPP seem mild by comparison. Australian Story is rightly respected for allowing its sometimes controversial subjects to speak for themselves, in their own words. It's not going to be as popular as a Charlie Sheen interview, but I'll be tuning in to see what parting shots Cowdery has to fire on his way out. A cantankerous, stubborn beardo with no tolerance for politicians? Faris, I didn't know you had a brother in New South Wales!